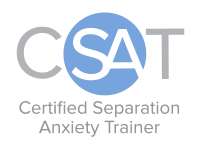 Services Classes Separation Anxiety In-Home Training Online Consultations Schedule an Appointment! More Resources Shop Blog Meet the Dogs! Show your dog what to do. Housetraining - Fear - Aggression - Separation Anxiety - Leash Manners - Puppy Skills - And Much More! Are you a new adopter? Have you had dogs your whole life yet your current dog is really challenging everything you know about training him? Is your family ready to add a furry friend to the mix? Keeping up with your dog's behavioral needs is an important part of caring for them. Since behavior is constantly changing, consistent reinforcement of the desired behaviors is necessary! If you're anything like me your dog is a part of your family and their well-being is of great value to you. My commitment to humane, science-based training is just what you need to provide your dog with the tools for a successful life. It isn't enough to eliminate undesired behaviors if you don't understand why a dog was behaving that way in the first place. The incredibly large pool of information about dog training is filled with incorrect and confusing advice. I can help you navigate those waters to find the right path for you and your dog. I have a variety of training options available. Choose the one that best suits you. I am committed to using only the kindest and most updated training methods. My goal is to provide you with the tools you need to enjoy the dog you already love. Why use pain or fear-based methods when there are other options? When I work with a dog I go at their pace, watch for a goofy smile and wait for the dog to let me know when he is having fun. I hope to someday see the dog training industry say goodbye to scary and painful training tactics. I have known Allison for about 5 years now, and in that 5 years I have witnessed her astounding love and passion for animals. I met Allison in Vet Tech school and then later worked with her at a doggy daycare/pet resort. While in Vet Tech school, Allison fell in love with a sick, emaciated pit bull named Valentino. He was in rough shape, and he needed someone to love him. Luckily, Allison was there. She brought him home and after a lot of love and care, his exterior brightened and his true personality came out. He is a wonderful boy. One thing Allison did not expect was for Valentino and her other dog, Auggie, to ‘argue’ a bit. I have watched Allison work patiently with the boys for the past few years, and it is amazing how far they have come. Allison Lamminen Dog Training offers behavior modification and training services. Allison works with dogs who exhibit signs of potential separation anxiety, fear, aggression and also fun tricks and basic manners and obedience. She offers her services in several ways: day training, private coaching and video calls.